Thank you so much for joining us for the Curtain Call Inspiration Challenge - Candy Apple!
" I love Jenny's card. 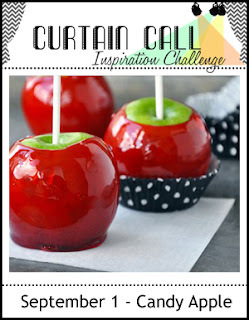 the sweet little apple images and the punny sentiment and perfect combination of stripes and dots. 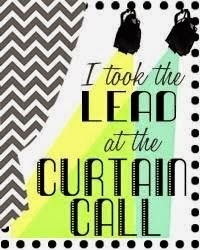 love this." "I love the fun of Jenny's card! Her cute little apples really pop on the neutrals of the background." "Cindy's card is SO crisp and vibrant...LOVE it! And such a clever idea to cut the apple from white cardstock and colour it with her Copic markers...it looks good enough to eat!" " I love Cindy's cute card. Her apple looks so real. 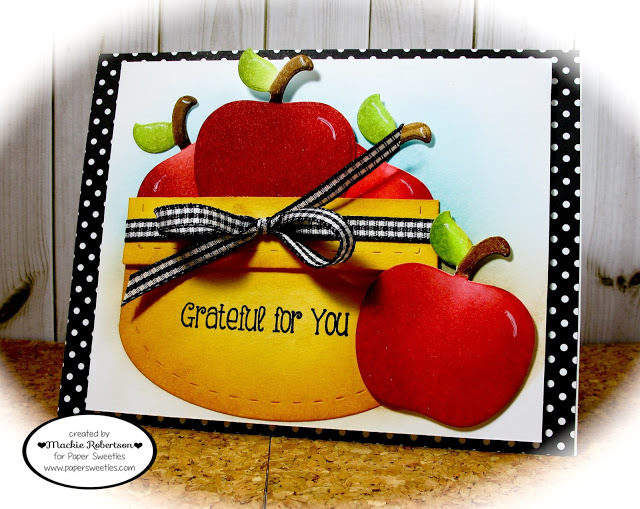 Love the different patter papers and those sweet candy dots." 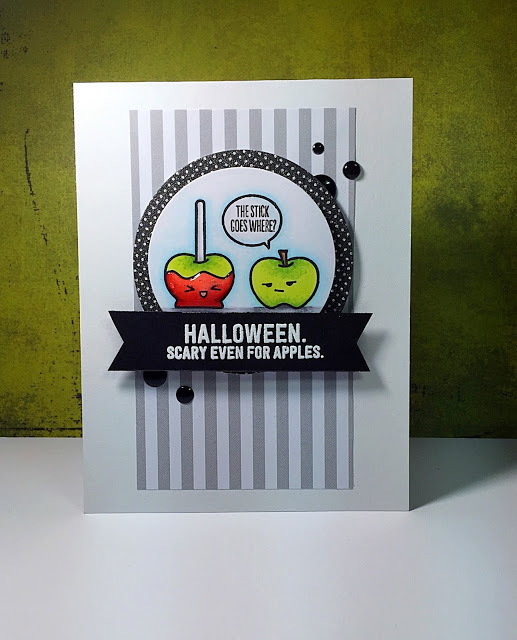 " I love the chalkboard look on Joyce's card with those darling apples!" 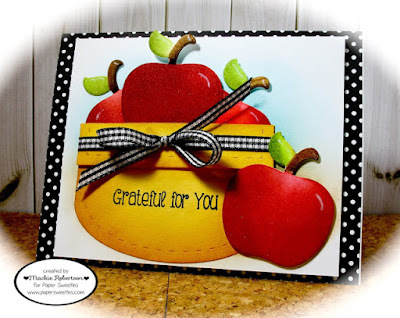 "Love Mackie's basket of apples with the gingham bow around it." Be sure to check back LATER TODAY for a new challenge. We are part of a fun blogging event, so the next challenge will run a little differently. Check back in for details. 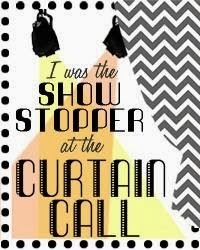 Thanks for selecting my card as one of the show stoppers!!!! I am truly flattered!!! !